What is Ethereum Gas? The Best Step-By-Step Guide Ever! Why do we have this Gas system? So, how do we convert the gas into Ether? What is Ethereum Gas Limit? What Happens in Ethereum Gas Refund Scenarios? Criticism of Ethereum Gas. Is it Justified? Every single operation that takes part in Ethereum, be it a simple transaction, or a smart contract, or even an ICO takes some amount of gas. Gas is what is used to calculate the amount of fees that need to be paid to the network in order to execute an operation. In this guide, we are going to understand how gas works. But before we do so, there are several concepts that we must learn. So, without further ado, let’s begin our deep dive on Ethereum Gas. Bitcoin was created because everyone was asking the same questions. Will it be possible to create a form of money which can be transferred between two people without any middleman? Will it be possible to create a decentralized money which can function on something like the blockchain? Satoshi Nakamoto answered these questions when he created bitcoin. We finally had a decentralized monetary system which can transfer money from one person to another. However, there was a problem with bitcoin which is a problem with all first generation blockchains. They only allowed for monetary transactions, there was no way to add conditions to those transactions. Alice can send Bob 5 BTC, but she couldn’t impose conditions on those transactions. Eg. She couldn’t tell Bob that he will get the money only if he performed certain tasks. These conditions would need extremely complicated scripting. Something was required to make the process more seamless. …And that “something” was a smart contract. Vitalik Buterin’s Ethereum is easily the stalwart of this generation. They showed the world how the blockchain can evolve from a simple payment mechanism to something far more meaningful and powerful. 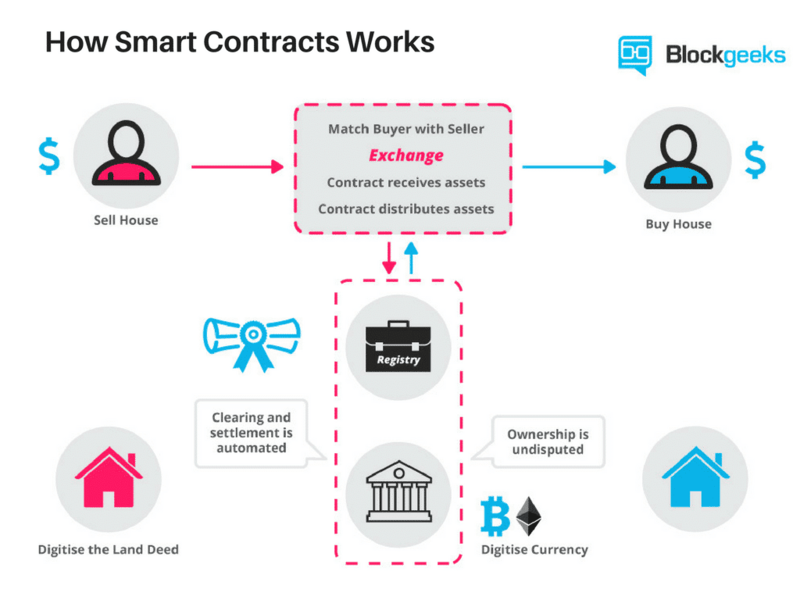 So, what are these “smart contracts” and what’s the big deal? 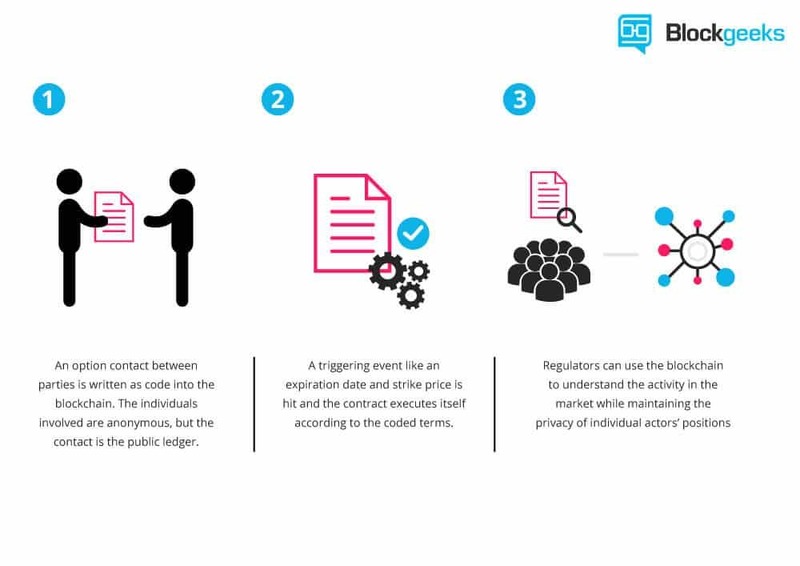 Smart contracts are automated contracts. They are self-executing with specific instructions written in its code which get executed when certain conditions are made. 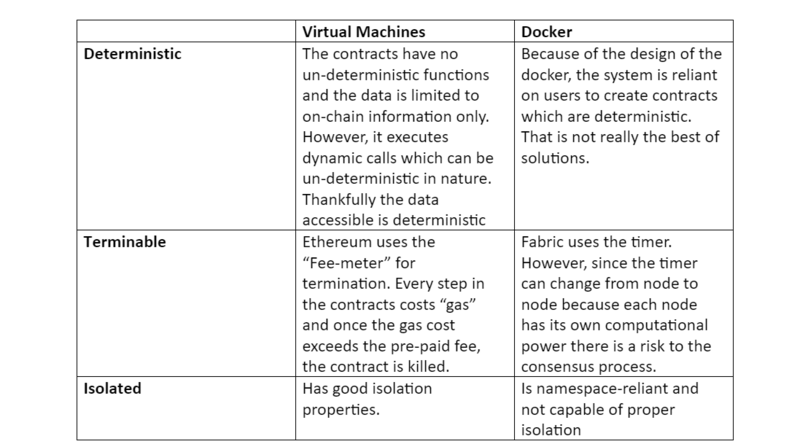 The EVM is the virtual machine in which all the smart contracts function in Ethereum. It is a simple yet powerful Turing Complete 256-bit virtual machine. Turing Complete means that given the resources and memory, any program executed in the EVM can solve any problem. As explained in the introduction, Gas is a unit that measures the amount of computational effort that it will take to execute certain operations. Note: Before we continue, huge shoutout to Joseph Chow for his amazing presentation on Ethereum gas. Most of the smart contracts that run in the EVM are coded using Solidity (Ethereum is planning to move on to Viper from Solidity in the future). Each and every line of code in Solidity requires a certain amount of gas to be executed. You go to the gas station and specify how much gas you want to fill up in your car. You get that gas filled up in your car. You pay the gas station the amount of money you owe them for the gas. Now, let’s draw parallels with Ethereum. Driving the car is the operation that you want to execute, like executing a function of a smart contract. The gas station is your miner. The money that you paid them is the miner fees. To cover its data aka intrinsic gas. To cover its entire computation. Now that we have covered the bare basics, you maybe asking the following question. Like any proof-of-work peer-to-peer system, Ethereum is heavily dependent on the hashrate of their miners. More the miners, more the hashrate, more secure and fast the system. By mining blocks and getting block rewards. By becoming temporary dictators of their mined blocks. Let’s explore the second point. The miners are responsible for putting transactions inside their blocks. In order to do so, they must use their computational power to validate smart contracts. The gas system allows them to charge a certain fee for doing so. This fee is known as the miner’s fee and it helps incentivize them enough to take part actively in the ecosystem. So, how much fees can they charge? Before we can calculate that let’s understand how we measure gas. Gas is simply measured in units of gas. A transaction sent to the Ethereum network costs some discrete amount of gas (e.g. 100 gas) depending on how many EVM instructions need to be executed. There is no fixed price of conversion. It is up to the sender of a transaction to specify any gas price they like. On the other side, it is up to the miner to verify any transactions they like (usually ones that specify the highest gas price). 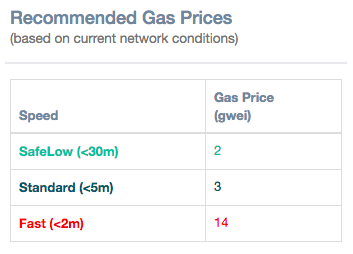 The average gas price is typically on the order of about 20 Gwei (or 0.00000002 ETH), but can increase during times of high network traffic as there are more transactions competing to be included in the next block. The following chart shows you the average Ethereum gas price chart. Before we go any further, it is important to know the concept of gas limit. In order to get an operation done in Ethereum, the sender of the transaction must specify a gas limit before they submit it to the network. The gas limit is the maximum amount of gas the sender is willing to pay for this transaction. Different operations will have different gas costs (as has been shown before). The miners will stop executing the moment the gas runs out. If there is any gas left over, it will be immediately refunded to the operation generator. Let’s see this in operation in a hypothetical scenario. Storing 10 in a variable. Let’s say this operation costs 45 gas. Adding two variables, let’s say this costs 10 gas. Storing the result which again costs 45 gas. Suppose the sender specifies a gas limit of 120 gas. The total gas used by the miner to run the computation is (45+10+45) = 100 gas. The fee that is owed to the miner, assuming 1 gas costs 20 Gwei, is (100 * 20 Gwei) = 0.000002 ETH. Now, how much gas is left over? 120 – 100 = 20 gas. The 20 unused gas is returned back to the sender (20 * 20 Gwei) = 0.0000004 ETH. The specified gas limit is too low. The specified gas limit is too high. If an operation runs out of gas, then it is reverted back to its original state like nothing actually happened, however, the operation generator must STILL pay the miners the fee for their computational costs and the operation gets added to the blockchain (even if it has not been executed). Going back to our road trip analogy, if you haven’t filled up enough gas in your car, then you will not be able to reach your destination, but even then you paid the gas station the money for the fuel right? However, this time, the sender sets a gas limit of 90 gas. Now, we know that the gas that will be required for fulfilling the transaction is 100 gas, but we only specified 90 gas limit. In this scenario, the miner will do 90 gas worth of computation and then charge the sender fees for the 90 gas which turns out to be (90 * 20 Gwei) = 0.0000018 ETH. Also, the contract reverts back to its original state and the transaction is included in the blockchain. So, what if we set the gas limit too high? That would make sense to do right? Afterall, whatever is leftover gets refunded to the sender right? That sounds good on paper but it doesn’t really work that well in reality. Miners are limited by the block gas limit, which we’ll suppose is 6,700,000 gas. A basic transaction (simple transfer of ETH) has at least a gas requirement of 21,000 gas. 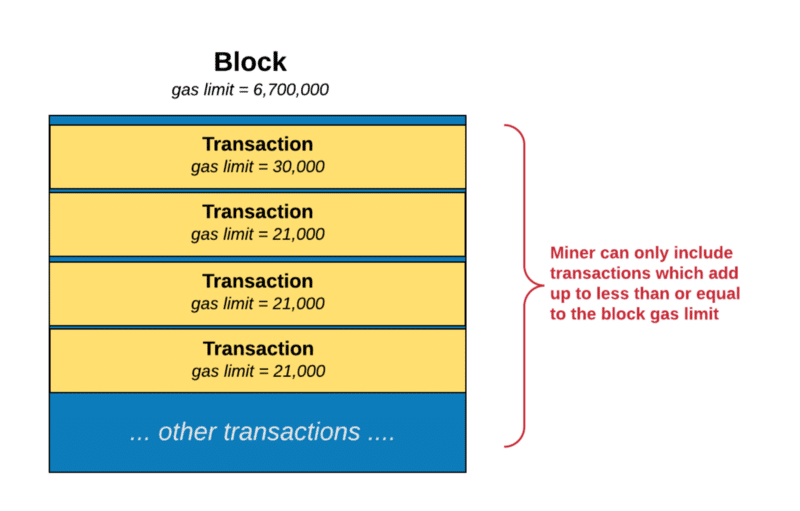 Miners can only include transactions which add up to be less than or equal to the block gas limit. 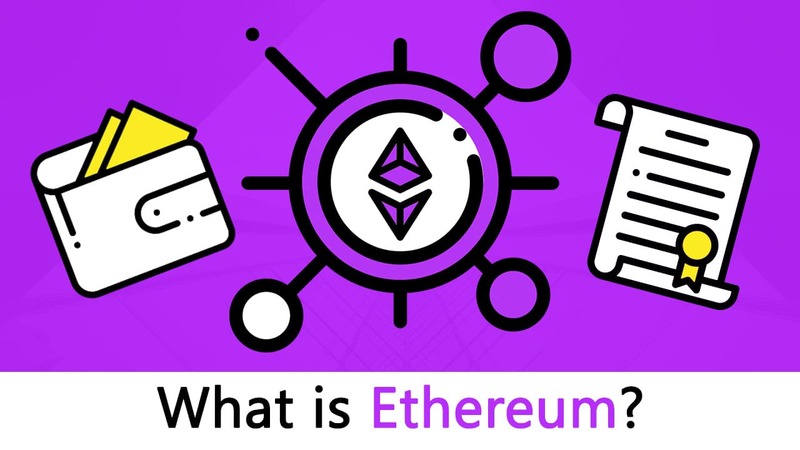 Suppose there is a transaction A (which does a simple transfer of ETH) and has a specified gas limit of 42,000 and two transactions B and C (also simple transfers of ETH) which have specified gas limits of 21,000. Which will make more sense for a miner to put in their block? Will they put in transaction A and refund back a huge amount of unused gas? Or will they put transactions B and C and refund little to nothing back? The second point makes more sense to them economically right? This is precisely why having a bloated gas limit is not the sensible way to go. It is more reasonable to set a gas limit which is just a little higher than the required amount of gas for your transaction. The following is the average gas limit chart. It should be clear to you so far that gas and ether are not the same things. Gas is the amount of computational power required while ether is the currency used to pay for that gas. Now with the knowledge of everything we have obtained so far, let’s go through certain gas and fees scenarios. If an operation has LOW gas, then the miners won’t even pick it up because it doesn’t have enough gas to finish computation. If an operation has LOW fees, then it might have just enough gas to cover it but still, the miners won’t be chomping at the bits to pick it up because an operation with low fees isn’t economically appealing for them. If an operation has HIGH gas, then it means that the operation is bloated with a high gas limit and hence the miners will not pick it up. If an operation has HIGH fees, then the miners know that they will make a lot of money from it and will be picking it up instantly. In solidity, there are two commands which ensure that you get some gas refund back. SUICIDE: This basically kills the smart contract. Doing so will get you back 24000 gas. SSTORE: Storage deletion, which gets you back 15,000. So, if your contract is using up 14,000 gas and deletes a storage then you should get back (15000-14000) 1000 gas refunded to you right? If that was the case, then miners will lose all incentive. After all, the miners shouldn’t pay you to do your computations right? To avoid scenarios like these, a condition was put in. The refund that has been accumulated cannot exceed half the gas used up during computation. Let’s take an example to clear this up. …Suppose we have a smart contract which uses up 14,000 gas. The gas limit that we have set up is 20,000 gas. The smart contract also includes an SSTORAGE command. So, how much gas will the contract creator get back post computation? Firstly, they will get back (20,000-14,000) = 6,000 units of unused gas. Now, the SSTORAGE command has also been used, so theoretically they should get back 15,000 gas as well. However, the amount of gas that has been used in the contract is 14,000 and since 15,000 > 14,000/2, the REFUND generated will be 14,000/2= 7000. So the total gas that the creator is getting back in the end is 6000+7000 = 13,000. Suppose this time the contract uses up 70,000 gas and it includes a SUICIDE function. A SUICIDE function should give you 24,000 gas back which is < 70,000/2. In this situation, the gas refund will be 24,000 + unused gas. Even though the gas system has gotten praise for presenting a smoothly running mechanism which incentivizes the miners pretty positively, it has come under criticism lately for being a tad too expensive for developers and smart contract creators. Regarding this, Danny Ryan did some interesting studies in his Hackernoon article. When two numbers are added a million times in Ethereum it costs ~$26.55 in fees. Danny Ryan compared that to a standard AWS system. He said that he can add two numbers a million times using python in 0.04 seconds, which going by the $0.0059 hourly Amazon EC2 rate costs $0.000000066. This means that computation in Ethereum is 400 million times more expensive! “To be fair, adding two numbers together 1 million times is a bit contrived. A well written contract would likely move such computational complexity off-chain and deal more with updating state in the contract. Storing vast amounts of data to the blockchain is also not an ordinary task. Depending on the task, a user would likely store a cryptographic reference (a hash) of the data on-chain and keep the rest of the data off-chain.